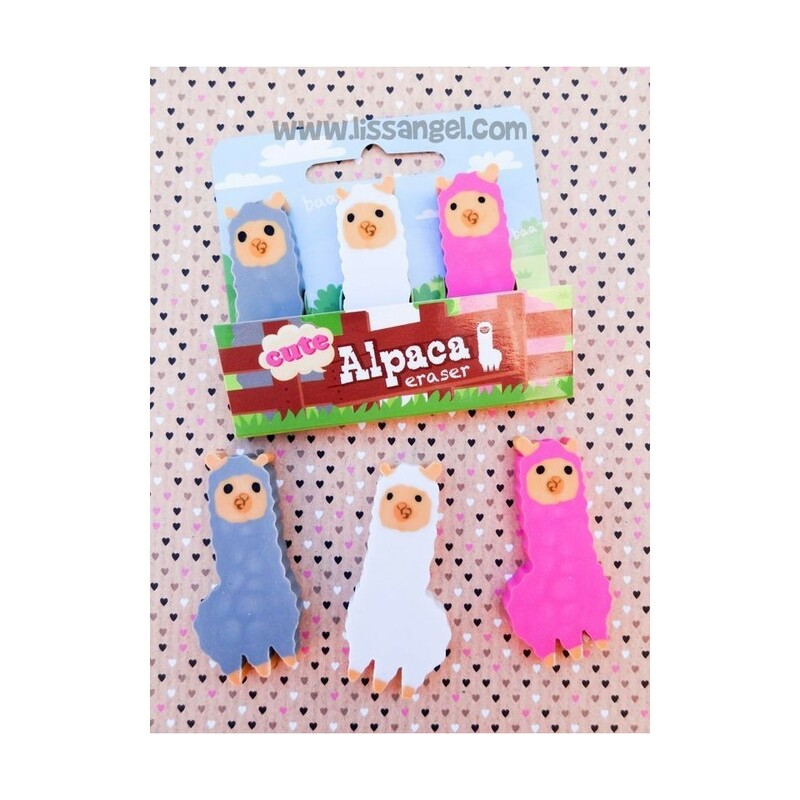 When someone sees an alpaca, the kawaii world immediately comes to mind... they are so adorable animals... What is an alpaca? You do not know? 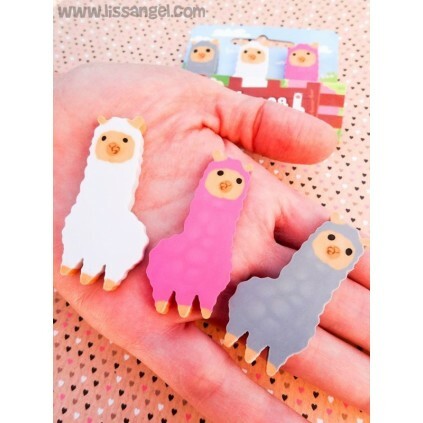 Well, summarizing it a lot, they are like a kind of sheep with a pompom fur and long neck. Due to their so adorable image, these animals have served as inspiration for the creation of all kinds of products. They have even arrived, how could it be otherwise, to the world of pretty stationery. 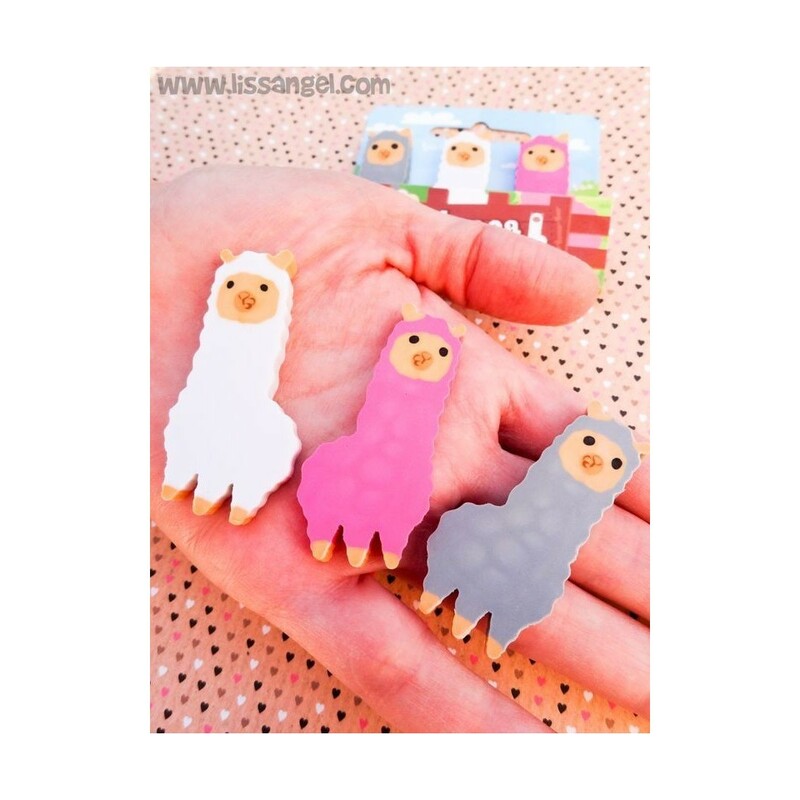 With this set of three erasers in the shape of an alpaca, you will complete your collection of cute erasers. They can not be missing in your pencil case! Which animal is the most kawaii? Cats! And what do cats love? Boxes! Well, here we have it, an original eraser shaped like a kawaii cat inside a courier box. Most lovely impossible! Unicorns are fashionable and we bring them in the form of many stationery products. 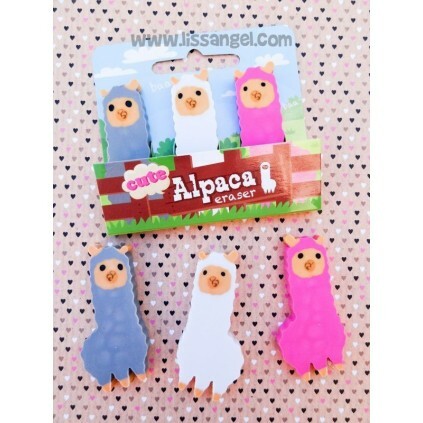 Enjoy now with this pack of 6 different unicorn-shaped erasers. Very nice and kawaii designs.